Legend has it that Pelican Bay came to life thanks to a brown pelican that had very good taste. One day this old brown pelican lost his bearings while fishing and discovered this spot of land. Blown away by its beauty, he built a grand perch on a canal overlooking the harbor to watch the glorious sunsets and fish to his heart’s content. He camped out alone for a while until a dilapidated old ship called the Bloody Bones crashed into his perch while attempting to drop anchor. The ship was carrying a one-eyed pirate, Capt. Curly Nutt, and an eccentric English gardener named Whistler. These fellows unloaded their cargo - exotic tropical plants, pots of colorful paints, pillaged jewels and Capt. Nutt's special stash of spiced rum. Then the crew settled into to their island home and built a new kind of nest. At sunset the blow of the conch signaled the end of the day and called all to come and play. Soon the old brown pelican's little piece of paradise became a true Bahamian original - a haven that attracted all sorts of colorful characters - rum runners, fellow pirates, merchants, artists, musicians - travelers from near and afar, and yes, even a crazy talking parrot with the soul of a Pelican. By all accounts it was a grand and happy place to be. That's how our story began. The rest was left to us… come experience it with us! 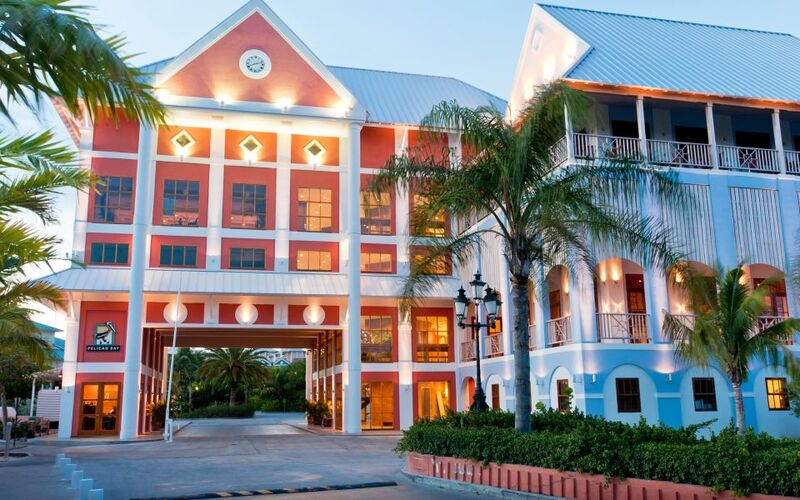 Stay in waterside rooms and suites decorated in true Bahamian style. Enjoy easy access to white sand beaches and a variety of water and land activities. Choose from one of our unique meeting spaces, amounting to 30,000 square feet. Your wedding was meant to capture the bliss of the Bahamas.